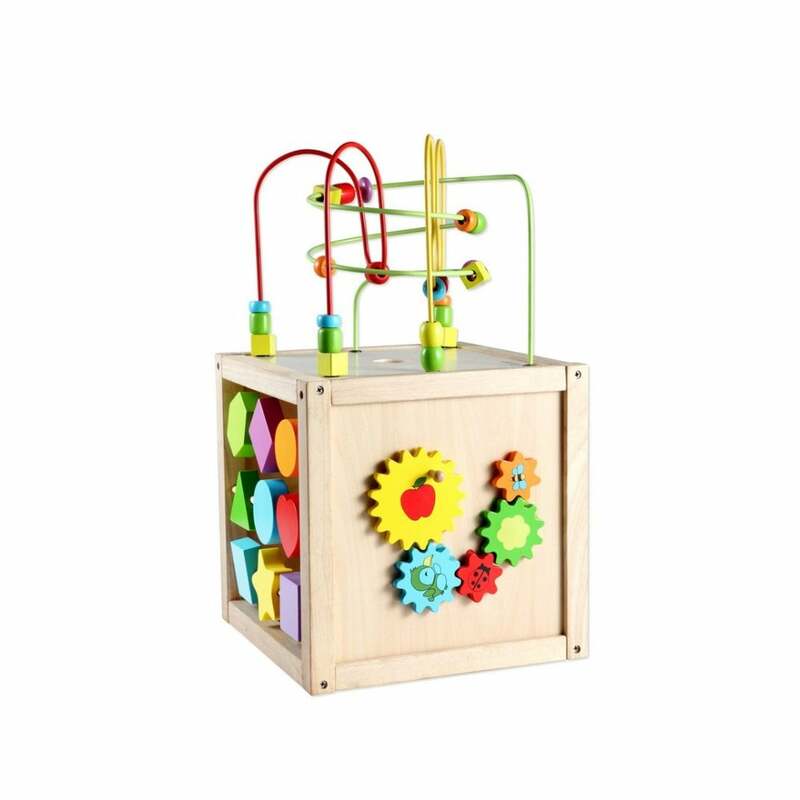 Banish boredom of your little one with this marvelous Classic World Multi-Activity Cube, a toy for early learning. Each side provides a new way to play so wee ones remain fully engaged. This curious cube provides endless array of games and helps children to learn colours, shapes, casual relationships and common animals. A firm wooden body ensures this toy withstands the test of time. The top of the multi-activity cube comes off by simply turning it over and placing it back on the cube, it becomes nicely compact for storing away.